A still from the Nike commercial welcoming Lebron James back to Cleveland. With the versatile Victor Legaretta as C. S. Lewis, I played the title role in FREUD'S LAST SESSION, directed by Rachael Endrizzi at the Strauss Theatre on beautiful Sanibel Island. Rachael didn't miss a moment in this brilliant play by Mark St. Germain. A great way to start 2015! Still from an Internet insurance commercial. They were going for a Jurassic Park look. Rehearsal in NYC for B-Side Productions' SEE ROCK CITY AND OTHER DESTINATIONS with Emily Gee and Jed Resnick and a marvelous cast of young musical theatre performers. As Benny Silverman in Jeffrey Sweet's THE VALUE OF NAMES at Ensemble Theatre's PlayGround. I had the privilege of working with my daughter Nicole in this thought-provoking and bittersweet play about the Hollywood Blacklist. Underground Rail Road Minister circa 1859. Annual historical re-enactment at French Creek Reservation, actual site of NE Ohio UGRR activity. This is from 2014. 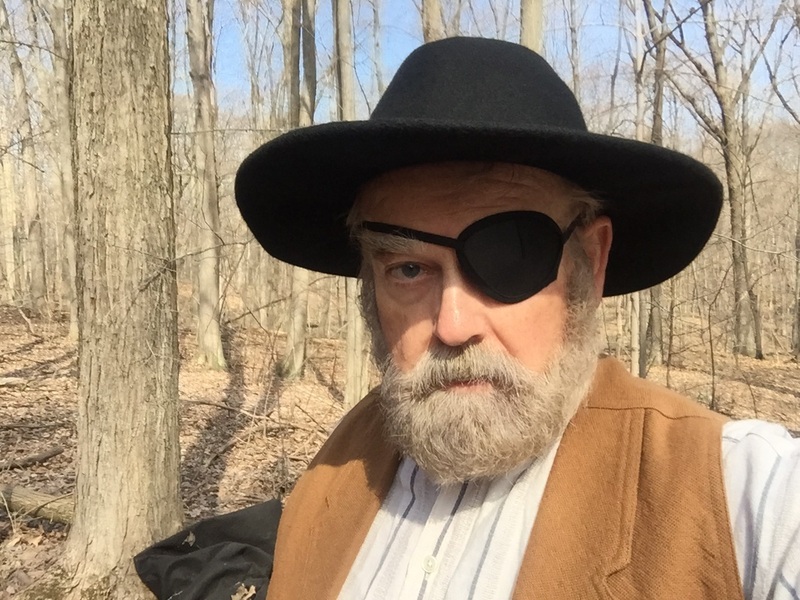 Mean Bounty Hunter circa 1859, in 2015's Historical re-enactment of Underground Railroad at French Creek Reservation. Overprotective (to say the least) dad Murray Dunne in Tom Tennant's fun horror short KEEPER, directed by Sage O'Bryant. 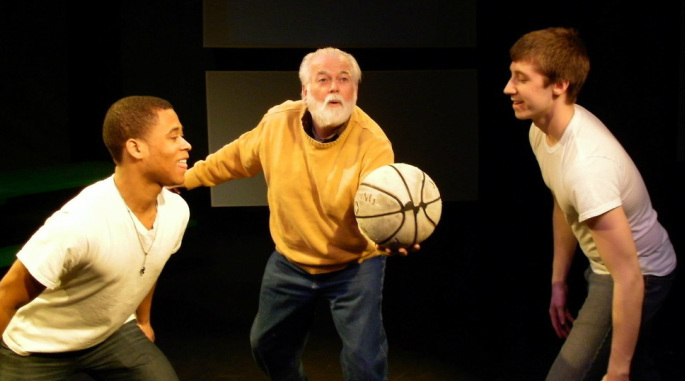 Great fun directing David Holland and Scott Miesse in Ed Walsh and Bob Noll's original piece ONE ON ONE, a devastating play about crossing the color line in 1970's Cleveland street b-ball. Beardless as Mr. Van Daan (center) in the tense, final moments of THE DIARY OF ANNE FRANK at Oberlin Summer Theater Festival. Directed by Cat Miller with an evocative set by Carolyn Mraz. After an intense performance, a silly, catch-your-breath moment with the stunningly brilliant cast of Charles Fuller's A SOLDIER'S PLAY. I played Captain Taylor (third guy from the right) in this Project 1Voice production directed by Dale Ricardo Shields. With Jennifer Inks in a still from a delightfully comic horror short, Thee (sic) Daily Special. I love that I look like a major slimeball. 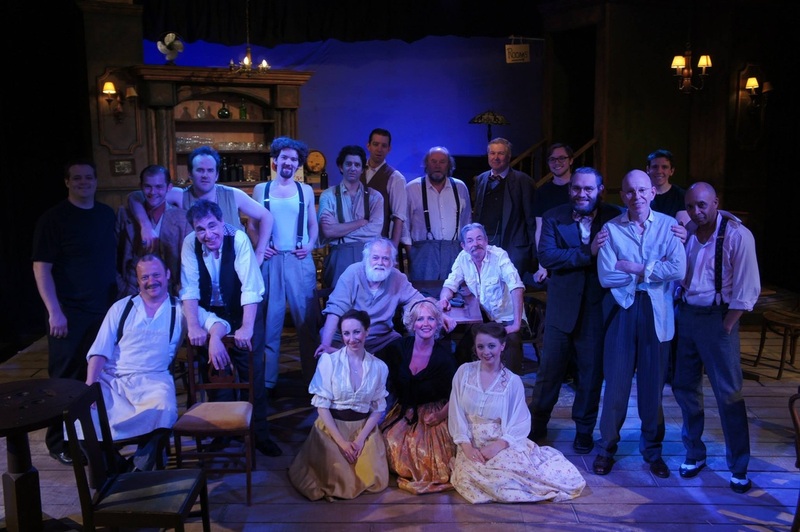 Very proud of my production and cast when I directed A THOUSAND CRANES at True North. Curtain call for Alice Childress' TROUBLE IN MIND for Project 1Voice, directed by Dale Ricardo Shields. Just three years ago, but I could probably use that blue blazer as a tent now! 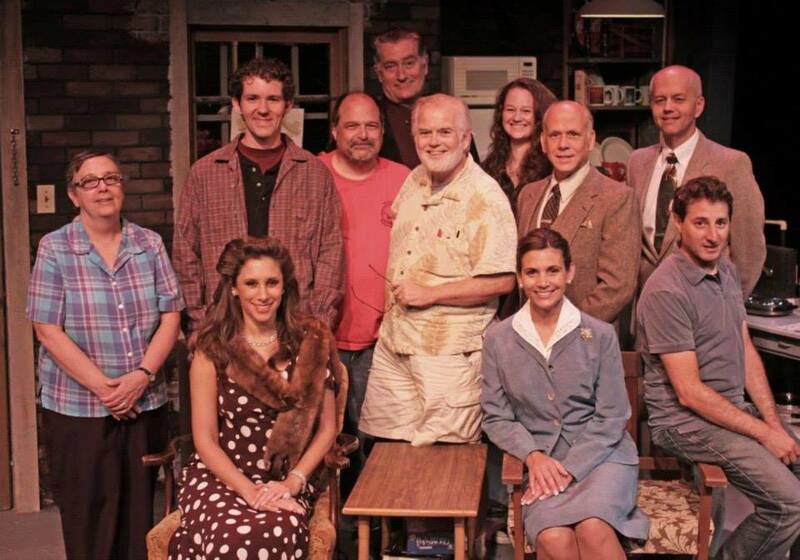 My production of THE PSYCHIC at Clague Playhouse. A cast full of funny, creative character actors who took the work -- but not themselves -- seriously. I enjoyed every moment of being with these folks. 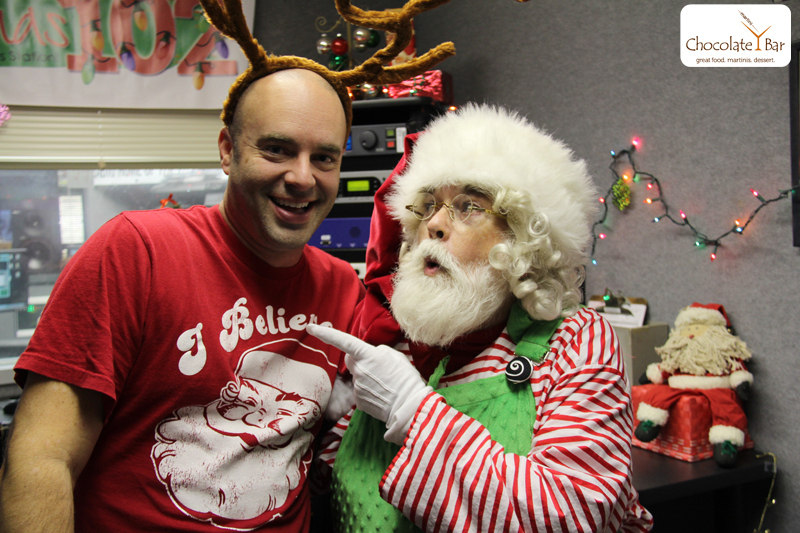 My best friend Kris Kringle clowning around with Tim of Jen and Tim at Christmas 102 -- WDOK. Every year I grow out the beard to become THE MOST LOVABLE GUY IN THE WORLD!